The model doesn't require batteries. The salt container is surprisingly spacious, so you won't have to refill it all that often. On top of that, it has a nice viewing window that will tell you when it's time to reload the gun. Kills bugs only from a close range. Bug-A-Salt 2.0 offers a surefire way to turn a disgusting task into an exciting and fun challenge. 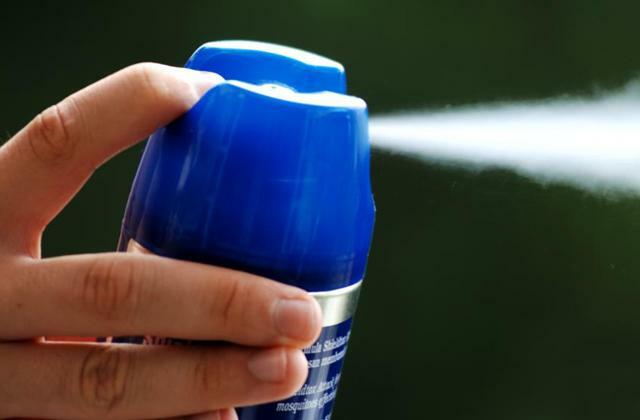 Plus, it is just as effective against mosquitoes, aphids, stinkbugs, roaches, cabbage worms, and other insects as it is against flies. 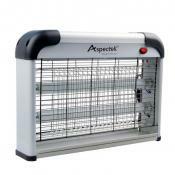 23" x 8" x 3"
The single-layer 1.2mm steel grill is a lot tougher than the usual deal. The racket is comprised of high-quality ABS plastic. Adding up to 20 inches in length, this outdoor fly killer gives you a bigger reach, so you're able to kill flies from a slightly larger distance. The racket is a little heavy. 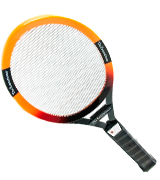 This is a great, durable fly killer racket. With it, you'll be able to execute flies in one swing. 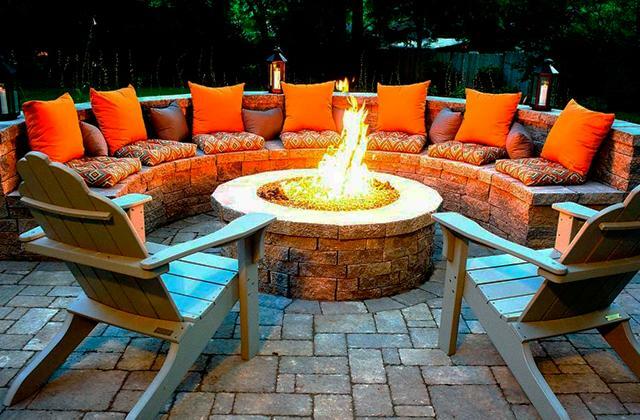 It is just as effective and practical at home and in an office as it is outdoors in a garden, backyard, or anything in-between. Zapping section: 8" x 5.75"
Armed with a 4000-volt electrified zinc steel grill, the model lets you instantly neutralize virtually any threat. Using a rechargeable battery, it allows you not to waste your time and money on replacement batteries. 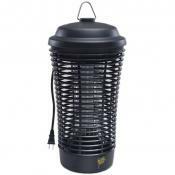 Plus, it comes equipped with an LED light that will help you fight pests at night. The zapping section is relatively limited. ZAP IT! doesn't leave pests a chance. It kills even the largest insects with a single swing. 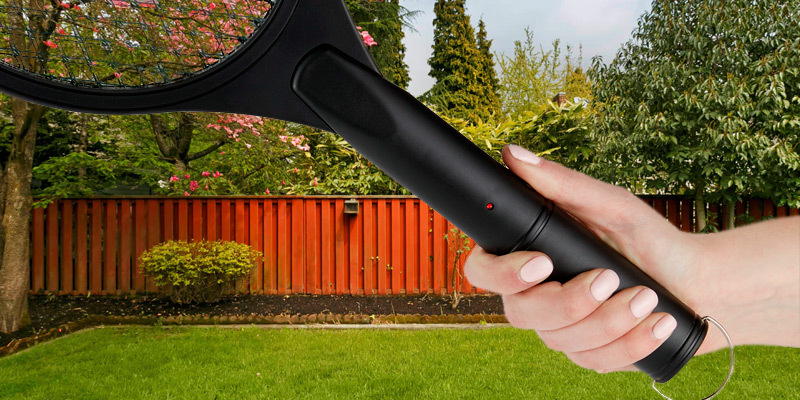 What's more, equipped with an indicator light and a triple-layer safety mesh, this powerful pest control tool is as deadly to flies and other pests as it is safe to people. Zapping section: ~6.5" x 6"
Incorporating many smaller steel wires positioned athwart (in a perpendicular fashion), the racket allows you to catch and hit even the tiniest insects like gnats and smaller mosquitoes. The zapping section adds up to 8.6 x 7.2 inches, so you'll hardly have to aim at all. The voltage is somewhat limited. 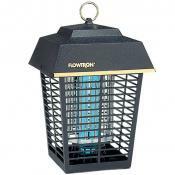 Black Flag ZR-7936 won't always allow you to kill every single insect in one swing but it will make the otherwise inconvenient and tedious task of hunting flies and other buzzing little monstrosities as effortless and minimally strenuous as possible. Zapping section: 8.6" x 7.2"
There's a nice little button on the handle that activates the current, making the racket safe enough for some of the more awkward users. It doesn't eat up batteries all that fast. The buzzing sound is a tad loud and annoying. 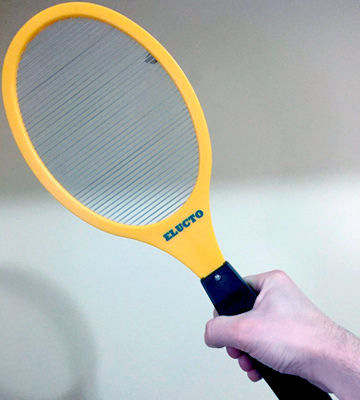 Elucto EB-146 is an affordable and capable fly killer racket. The lightweight construction will allow you to swing it left and right without experiencing too much hand fatigue. 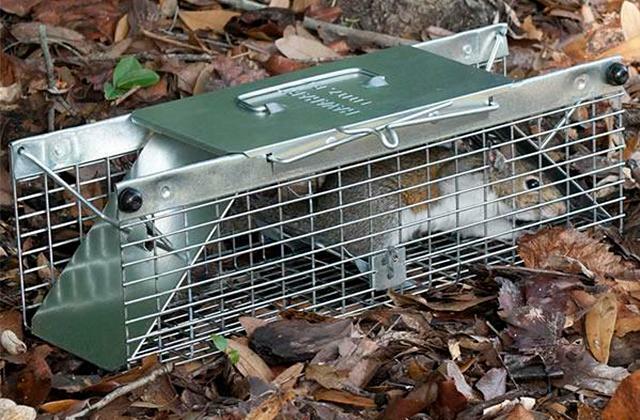 All in all, the racket makes it possible to eliminate pests once and for all. Zapping section: ~7.5" x 6"
Swatting a fly can be satisfying. Not as satisfying as shooting it with a gun though. There aren't a whole lot of activities as satisfying as shooting stuff. Well, with Bug-A-Salt 2.0, you're about to combine that satisfying feeling with the necessary bug demolition. Compared to its predecessor, the 2.0 iteration of the salt blaster is a tad more load, a touch more power, and a lot more fun. Sure, the product has its flaws. With it, you'll only be able to kill flies from a close range. Then again, that is the case with any other fly killer. 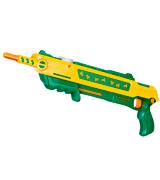 Unlike those killers, however, this salt shooter doesn't require batteries. Just load it with regular table salt and you're good to go, locked and loaded, ready to show those annoying pesky bugs who's the boss. Plus, the salt container is surprisingly spacious, so you won't have to refill it all that often. On top of that, it has a nice viewing window that will tell you when it's time to reload the gun. 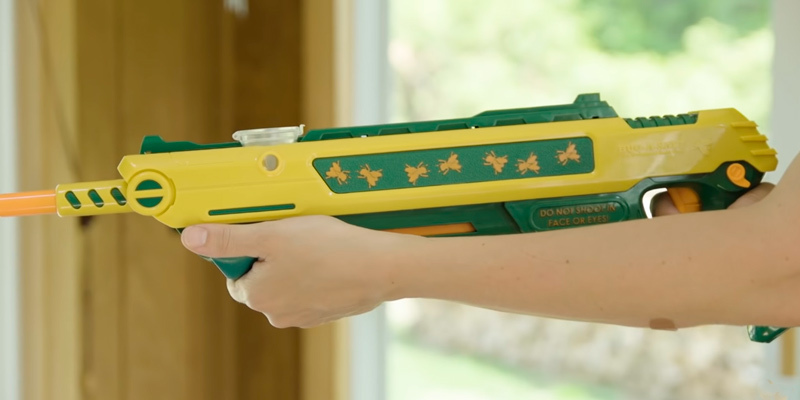 To put it in a nutshell, there are 2 differences between this salt gun and practically every other fly-killing device on the market - the fun part and the versatility part. 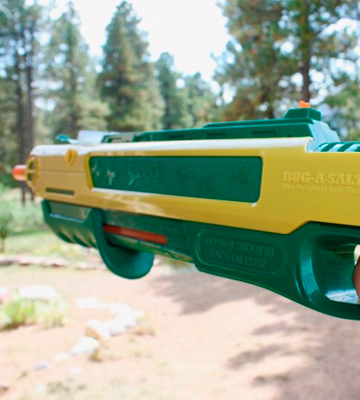 Again, the fun part is obvious - it is a lot more enjoyable and exciting to shoot bugs than it is to swat them. 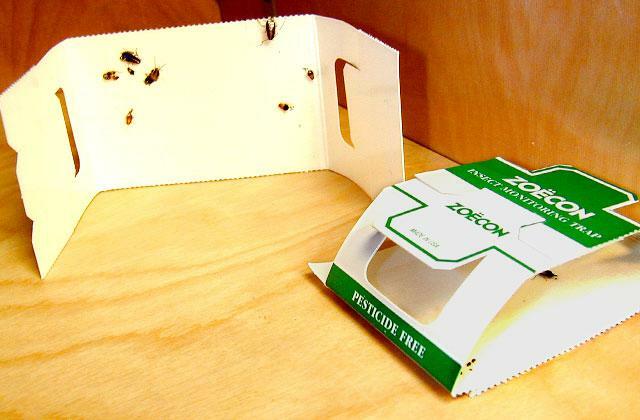 And thanks to its working principle, the model will help you eradicate not just flies but also mosquitoes, aphids, cabbage worms, roaches, stinkbugs, and tons of other disgusting insects. Sourcing4U Limited, the company behind The Executioner, claim that this is a branded executioner and not a cheap toy and we're definitely inclined to agree with them on that one. Now, there are a few reasons why that's the case. 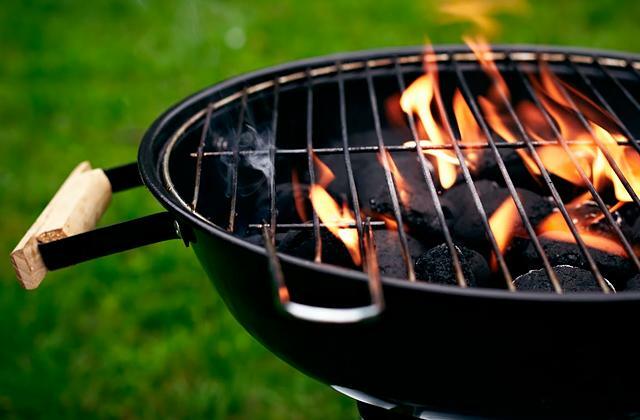 First, cheap toys don't feature an electrified zinc steel grill with a 3000-volt current running through it. 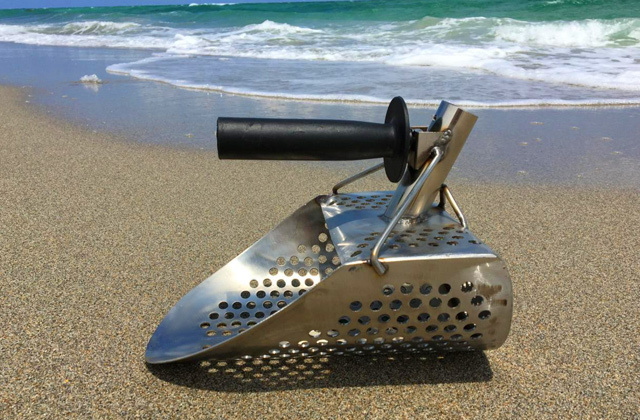 Plus, the said single-layer 1.2mm steel grill is a lot tougher than the usual deal. Cheap toys, more often than not, are made of subpar recycled plastic, while the model in question is comprised of its high-quality ABS counterpart. 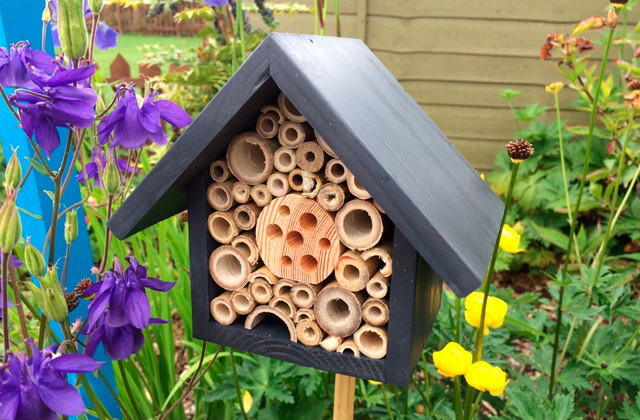 This way, the product is built to last and will allow you to execute bugs for years to come. There's also the size of the whole thing that plays a pretty important role here. 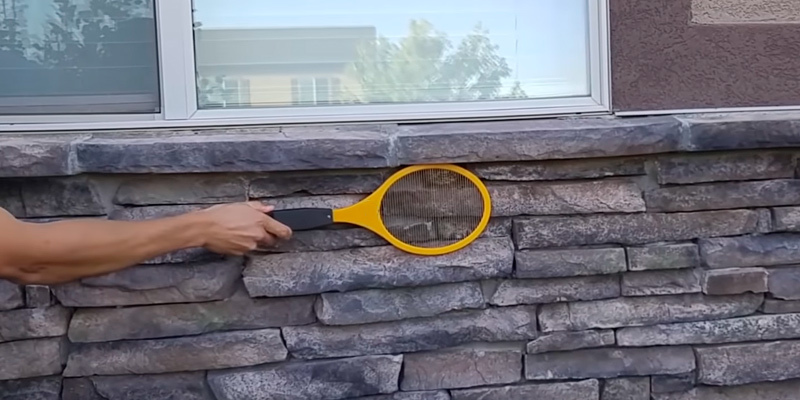 Adding up to 20 inches in length, this outdoor fly killer gives you a bigger reach, so you're able to kill flies from a slightly longer distance. That being said, the size is also the downfall of this product. Well, downfall is, of course, a serious exaggeration but it does make the racket a little heavy, probably the only problem we have with it. Other than that, this is a great instant swatter. With it, you'll be able to execute flies in one swing. 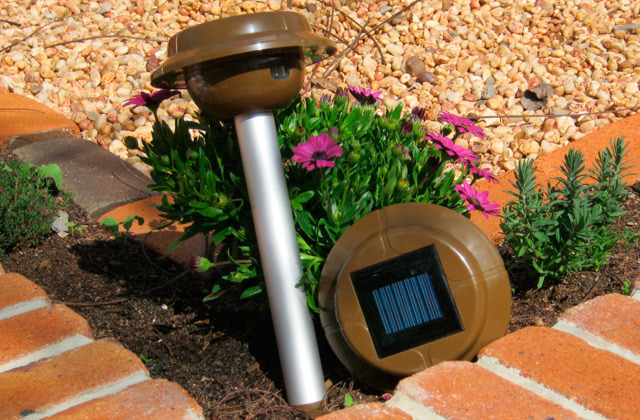 It is just as effective and practical at home and in an office as it is outdoors in a garden, backyard, or anything in-between. ZAP IT! couldn't have been named more appropriately. 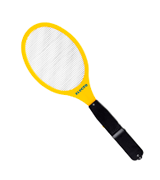 Any of the rackets in this review will allow you to kill flies. But they really can't hold a candle to ZAP IT! when it comes to the speed with which it executes these annoying buzzing creatures. See, your average bug zapper racket usually runs a 3000-volt current. 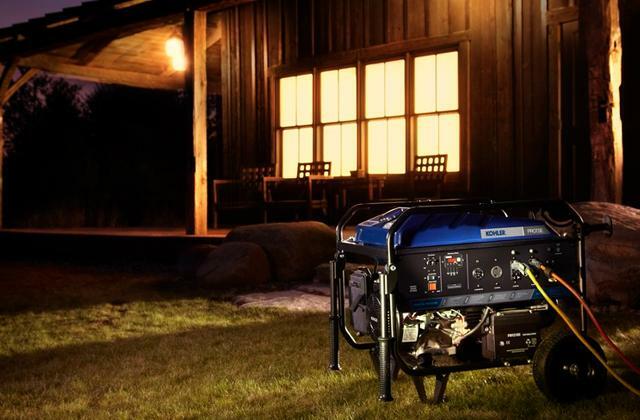 This model, on the other hand, turns it up to eleven, with a 4000-volt electrified zinc steel grill. A current like that will allow you to instantly neutralize virtually any pest, from flies and mosquitoes to aphids, thrips, and stinkbugs. Frankly, the only reason this product doesn't stand at the top of our list is its overall size. 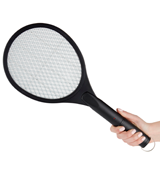 The length of 16.1 inches is more than enough but a zapping section that adds up to approximately 6.5 x 6 inches makes it a tad more difficult to kill bugs compared to larger rackets. Other than that, this fly killer is as good as flawless. Instead of using a couple of alkaline batteries like its peers, the model incorporates a rechargeable battery, so you won't have to waste your time and money on replacement batteries. 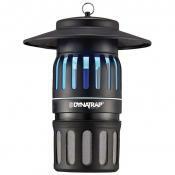 Furthermore, this fly-killing device comes equipped with an LED light, making it the best fly killer here for nighttime use. To sum it all up, ZAP IT! doesn't leave pests a chance. It kills even the largest insects with a single swing. 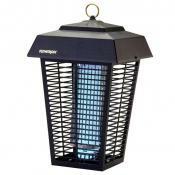 What's more, equipped with an indicator light and a triple-layer safety mesh, this powerful pest control tool is as deadly to flies and other pests as it is safe to people. 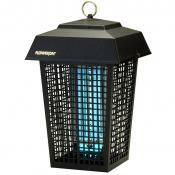 Black Flag ZR-7936 is a functional and, for the most part, effective fly-killing tool. That "for the most part" remark is really only there because the voltage that runs through the electrified zinc steel grill is relatively limited. Don't get us wrong, 2750 volts will prove more than enough to kill mosquitoes, biting flies, most spiders, yellow jackets, and even wasps. But, with aphids and a few other insects, it might take an extra swing or two to finish the pest off. Not a dealbreaker, of course, but something that the people behind this line will hopefully improve upon in the next model. Other than that, this is as practical and capable fly killer as the rest of them. 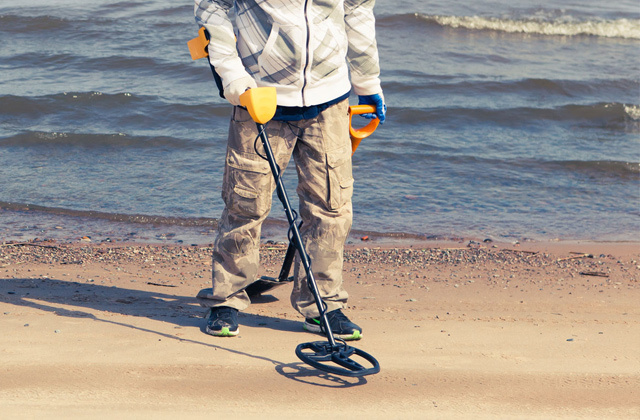 Incorporating many smaller steel wires positioned athwart (in a perpendicular fashion), the racket allows you to catch and hit even the tiniest insects like gnats and smaller mosquitoes. But what really sells the product is the size. The whole thing is 19.25 inches long, so you're going to have a solid reach. More importantly, the zapping section adds up to 8.6 x 7.2 inches, so you'll hardly have to aim at all. Equipped with a nice little hanging hook, it won't present any challenges and/or inconveniences on the storage front either. In short, Black Flag ZR-7936 won't always allow you to kill every single insect in one swing but it will make the otherwise inconvenient and tedious task of hunting flies and other buzzing little monstrosities as effortless and minimally strenuous as possible. 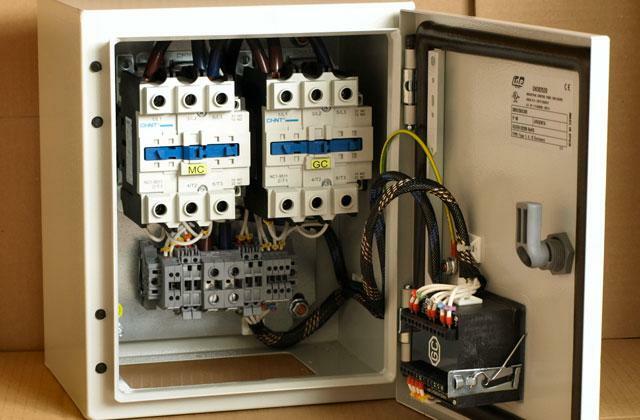 The company behind Elucto EB-146 market it as a highly reliable and professional zapper. Is that a fair statement? Short version - it is. Long version - it all boils down to a few things. 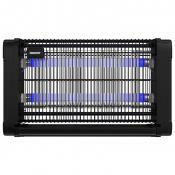 First, an electrified zinc steel grill with a ~3500-volt current running through it. 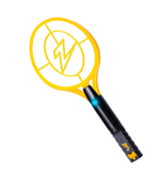 That much electric power means that you'll be able to kill practically any pest in a single swat. Second, the size of the racket. 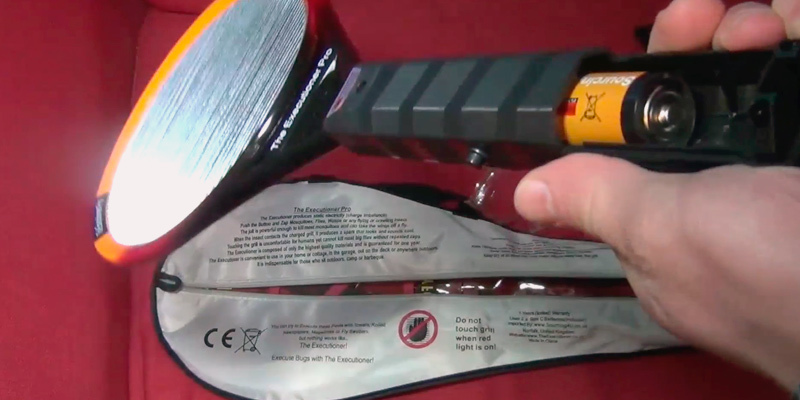 With a ~7.5" x 6" zapping section, you'll hardly have any difficulties hitting the target(s). Being 18.2 inches long, the racket gives you a decent reach, nothing to write home about but enough to neutralize the threat from a considerable distance. 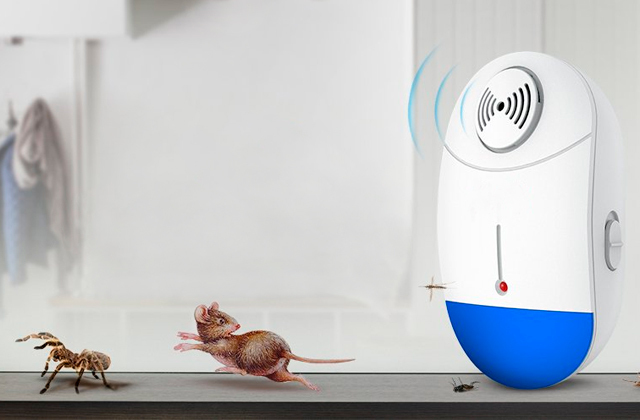 You'll need a couple of AA batteries to turn the fly killer on but it doesn't eat up those batteries all too fast, so you won't have to replace them that often. There's a nice little button on the handle that activates the current, making the racket safe enough for some of the more awkward users. The only real issue we have with this swatter is a slightly annoying buzzing sound it makes every time you swing the racket. Naturally, it isn't as annoying as flies' buzzing noise but it is an area that could use some improvement. 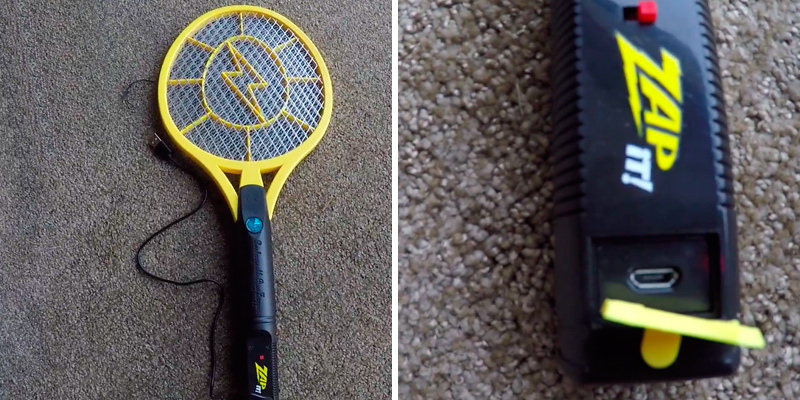 With all that in mind, Elucto EB-146 is an affordable and capable fly killer racket. The lightweight construction will allow you to swing it left and right without experiencing too much hand fatigue. All in all, the racket makes it possible to eliminate pests once and for all. What Is a Fly Killer? There's nothing like a nice afternoon rest under the sun, just sitting or lying in your backyard on a comfortable Adirondack or zero-gravity chair. There's also nothing that can ruin that afternoon leisure time like a bunch of flies buzzing around. Well, you know what, flies? Your days are numbered. Your reign is over. We're about to send you to meet your maker. 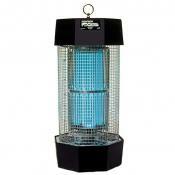 With these fly killers, it will hardly prove a challenge. Though a little bit of an umbrella term, anything that can help you solve the fly issue can be classified as a fly killer. 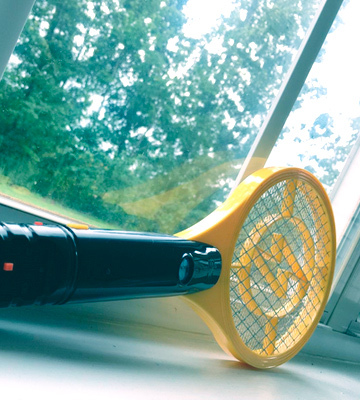 In this review, we're mostly focusing on fly swatters/bug zappers in a form of a convenient and handy racket. 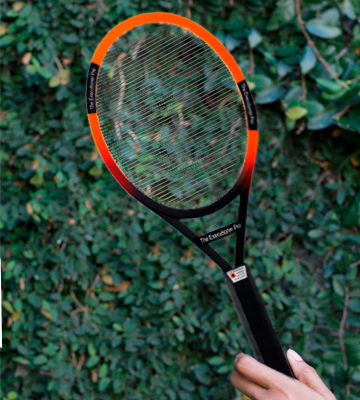 These rackets incorporate an electrified zinc steel grill with enough voltage to instantly fry the flies and deliver them a quick, merciful death. With a proper fly-killing device, you'll be able to quickly and efficiently kill any fly (or similar bug, for that matter) in close vicinity. That said, they all have their little features and there's quite a bit of difference between these models, so make sure to read our reviews and take your pick.